Wota in Translation » Was Maeda Yuuka just an illusion? Time to let go already. The odds that Yuukarin actually existed are about the same as those of Princess Himiko having existed. She was so white, she’d probably have melted if you hugged her. That was one good dream. I was watching it just thinking about how cute she was, but when it turned into sepia at the end, tears started coming out. How long are you guys going to keep going all “Yuuuuukariiiiiiiinnnn“? I’m never going to say I no longer need Yuukarin. 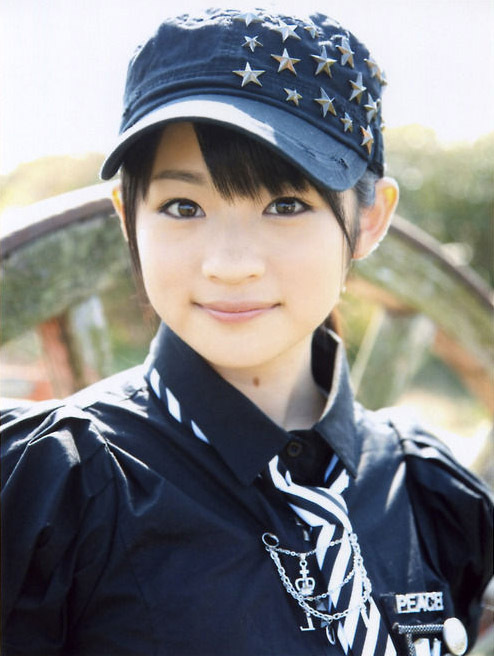 Was there really such a girl in H!P once? You only need to watch this music video to understand how legendary Yuukarin was. Yuukarin may have retired, but she never retired from my heart. Serious reply: when Yuukarin was able to discard the wickedness that was inside her heart at the end of her ascetic practices, it materialized and turned into Kanatomo, aka Kanazawa Tomoko. 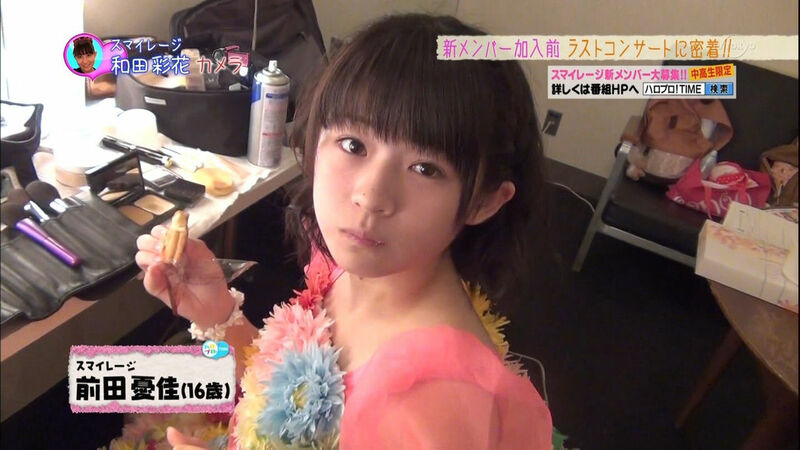 The girl has around half of all H!P members under her oppression already. The Great Yuukarin Devil Queen, aka Kanatomo. The Yuukarin that we saw was actually an illusion all along. She doesn’t really exist. Yuukarin never existed to begin with. Spring is the season when Yuukarin started university. Spring is the season when Yuukarin will start work at a company. Spring is the season of farewells. Is Yuukarin still in Tokyo? She’s so cute that if she was working some part-time job, there’d be rumors about her right away. It’s the season when Yuukarin’s picture from her university graduation album will appear on the internet soon. Hey, why don’t you come over to my house! Yuukarin! Rather than the winter, I start wanting to meet Yuukarin more during the spring. That’s when Yuukarin is at her liveliest. 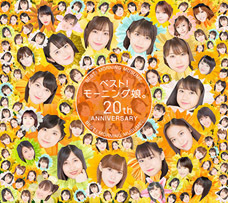 I wonder if the other members of S/mileage and Yuukarin still keep in contact. I’m always looking at pictures of Yuukarin on my phone. But when I do so on the street, women are always doing double takes at me and my phone. It must be because Yuukarin is so cute. When I think about Yuukarin, everything else stops. If I thought about her too deeply, my heart wouldn’t be able to stand it, so I guess it’s a form of self-defense that I now try keep Yuukarin in my mind only faintly at all times. But even that’s enough to make me happy. If you think about Yuukarin that hard, you’re going to end up becoming Yuukarin yourself. 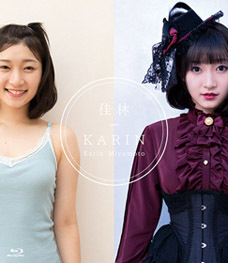 Yuukarin might have become like a locust, a person who lives deep in the depths of the earth. I mean, you never catch sight of her above ground anymore. Even if Yuukarin was a Martian, I would travel all the way to Mars to meet her again. The sea of Mars really suits Yuukarin. I want to meet Yuukarin. 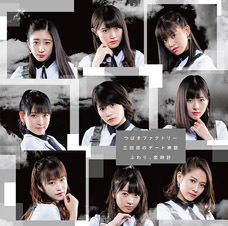 ← What do you do if you’re made fun of for being an idol wota? Everytime there’s a Yuukarin thread I always end crying and laughing at the same time. I’ll bet you do the same thing every time someone mispronounces the word “refrigerator”. 54 > das racist, man. We may have lost the White Rose, but we’ve gained the Rose Quartz. I don’t remember any Yuukarin……..
Lmao, best reply ever by 65…. I wonder what she’s doing these days! Yuukarin’s end was under tragic circumstances, just like Sakitty’s departure. Fans have a much harder time accepting/letting go in such cases. I, too, feel the sense of loss that the japanese wota feel, albeit on a lower level since obviously I could never go watch her perform in person. Following someone from Egg status all the way to their inevitable graduation can be tough, and you never want to see their career cut short like that…especially not in their prime. Yuukarin was a generational talent, a “natural” when it came to being an idol. There was seemingly nothing fake or “produced” about her, which really made her stand out from the rest. Saki’s graduation was a weird out-of-nowhere (at least to the public) affair, but what makes Yuukarin’s ending circumstances tragic? 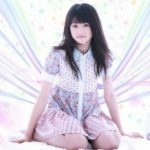 Saki’s wasn’t “out of nowhere”…anyone who was following the news around Smile/age 2nd gen auditions knew why Saki called it quits. All four of the original 4-nin Smile/age were clearly pissed that more members were being added (thus possibly “watering down” the group composition, but the point of no return was when Trollku announced that FIVE new members would be added to Smile/age…which obviously made the original members feel outnumbered and unwanted. The first to leave in a fit was Sakitty, whereas Yuuka’s departure was most likely delayed due to her managers begging her not to go. But sadly, the damage had been done by Up-Front Agency and thus Smile/age was sundered. Luckily the new members have stepped up with Dawa and Kanyon and tried their hardest to carry on. 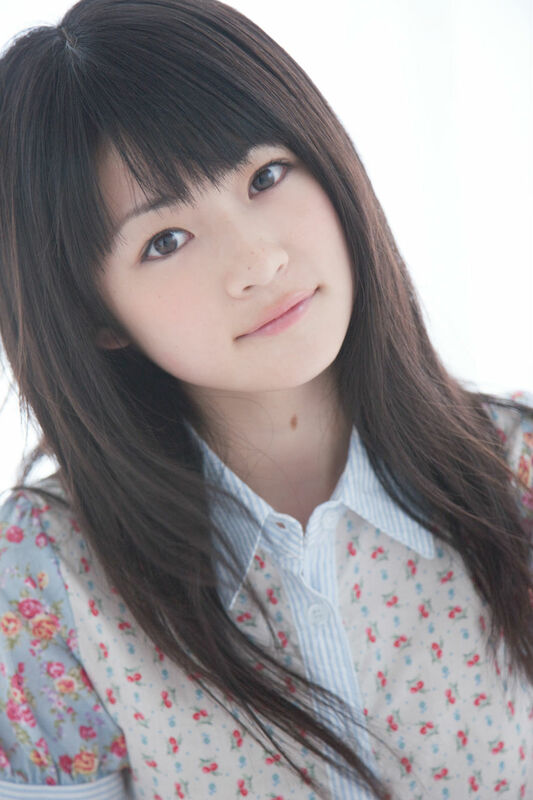 Sorry to break it, but I’ve followed Yuukarin since she was in “High King” and “Shugo Chara Egg!”. I’m one of the 10,000 guys who send my “smiling photo” to the campaign website, making them a major debut. Tsunku sure said that, he might remove all or some original member and add new one in the second gen ordition. But I didn’t recall such a moment you mention, that all the member is pissed and and lead those two to quit. O. Saki and Yuukarin cited their reasons of quitting as to ‘have a normal life / fully concentrate in study’. Basically, it was too much for a girl to do great in both study and idol career, especially if you are aim for University. 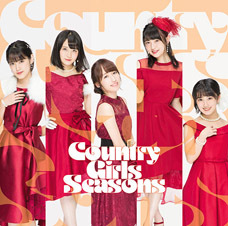 Out of nowhere in the sense that if you were a big Saki fan, you had less than a week to go from her announcement to actually being out of the group, versus a period of over two months for Yuuka. Admittedly I was not around at that time, so my perspective is different. 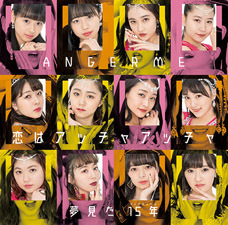 What you suggest seems one possibility, but I’ve thought the reverse does too–they realized 1-2 members were thinking about taking off, and needed new blood because S/mileage wasn’t meant as a duo. All the major groups have had people leave, but S/mileage started small enough that it was a problem. 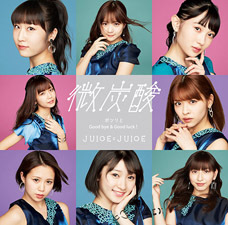 I think this was kept in mind when they went with 6 for Juice=Juice, which turned out to be the right choice. I can’t believe people still think it was this way. Sakitty and Yuukarin didn’t leave because they had auditions and new members, they had auditions because they knew the two members wanted out. You really think these girls decided on a whim to leave and graduate? There would have been back and forth from the girls and management on how to best handle it for months. Who knows when the girls first started to be unhappy from being professional idols? No one really, but them and the management.